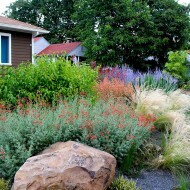 Drought Tolerant Garden with Gravel – Creative Landscapes, Inc.
Color and texture fill this low maintenance drought tolerant garden accented with boulders and gravel. 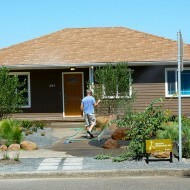 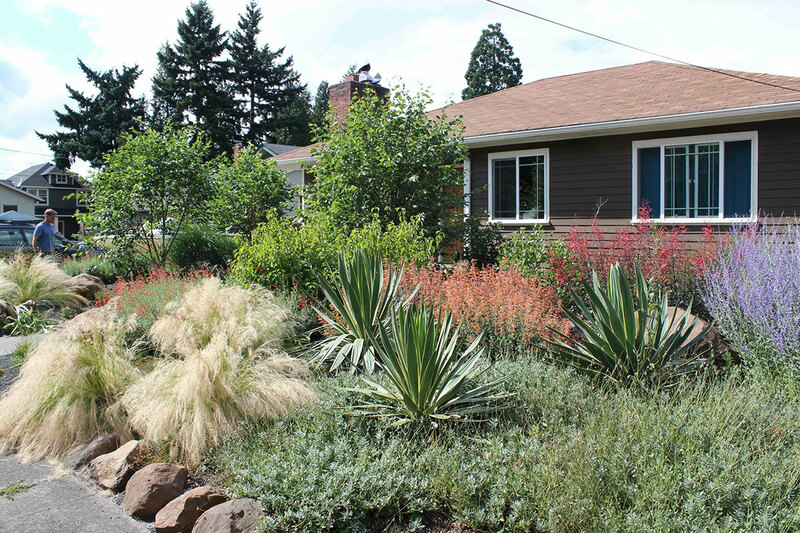 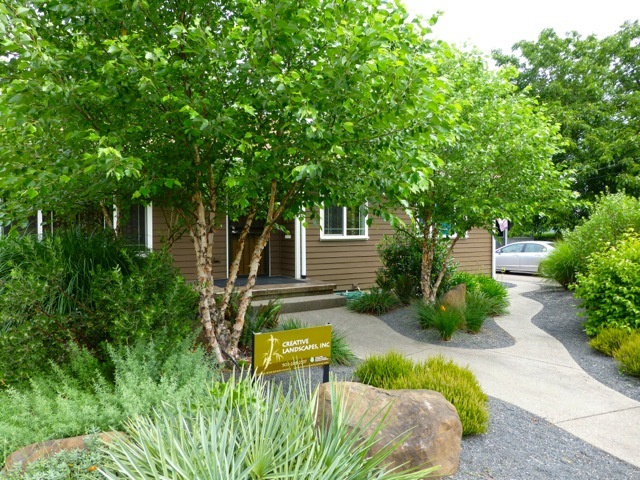 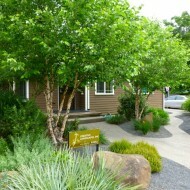 This garden is an example of xeriscaping – landscaping in a way that reduces the need for supplemental water, ideal for our Pacific Northwest summers. 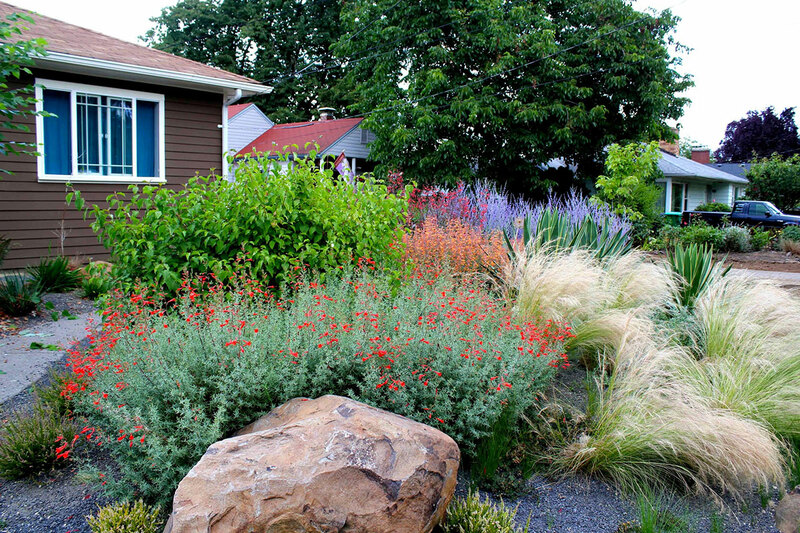 Hummingbirds are absolutely crazy about this non-traditional alternative to a boring, high maintenance lawn. 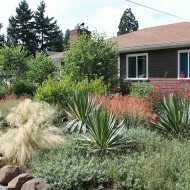 Many native plants were used, as well as selections that will feature color through the winter months. 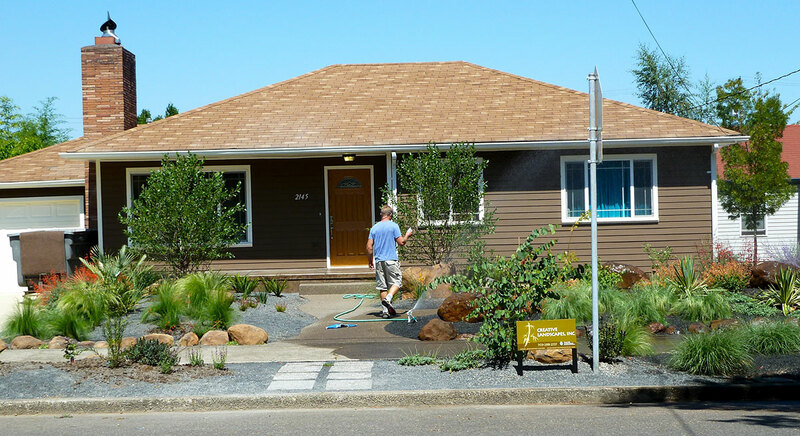 The final product of this landscape installation resulted in a drought tolerant mix of hardscape and softscape that continues to provide interest season after season.